Julius Caesar's victories in Gaul made him a hero in the eyes of his men and the people of the Roman Republic, and his crossing of the Rubicon under arms changed western history forever. How would you like to toss a wrench into the gears of time and make sure ol' Julius returns to Rome in a pine box? For anyone who falls on the Barbarian side of the fence comes the new campaign addition to Total War: Rome II, "Caesar in Gaul," launching December 17th. Of course, you and a friend might also relive Caesar's victories against the savage hordes in case you find sympathy with the Roman cause. This new addition (which they aren't calling DLC or a full blown expansion, but something between the two) adds new factions to both the main game and a mini-campaign taking place in a smaller overworld map. A denser playing field allows for faster turns and a faster game experience. When it was originally announced, Rome II had a slew of issues. Check out our review for a more detailed look at why this one wasn't exactly topping the charts for us. Since its rocky launch, Creative Assembly has been patching this game like it was going out of style, and hopefully it's not nearly the mess it was. That doesn't excuse rushing an unfinished product out the door, but, ultimately, you want every game to be good. Even if it takes more than a few patches to get co-op working. Transforming history into your very own toy box is one of my favorite elements in the Total War series. I mean, how many games can you rewrite the past to where the vast and powerful forces of Scotland solely defend Europe against the Mongol Horde, while being the first unified country to sail across the Atlantic? 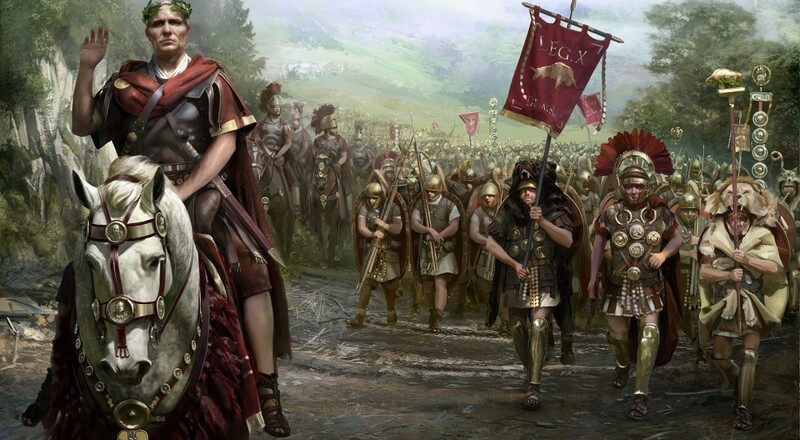 I've got nothing but fond memories of the Total War franchise, and I hope "Caesar in Gaul" corrects the mistakes of the main game. Page created in 0.3799 seconds.